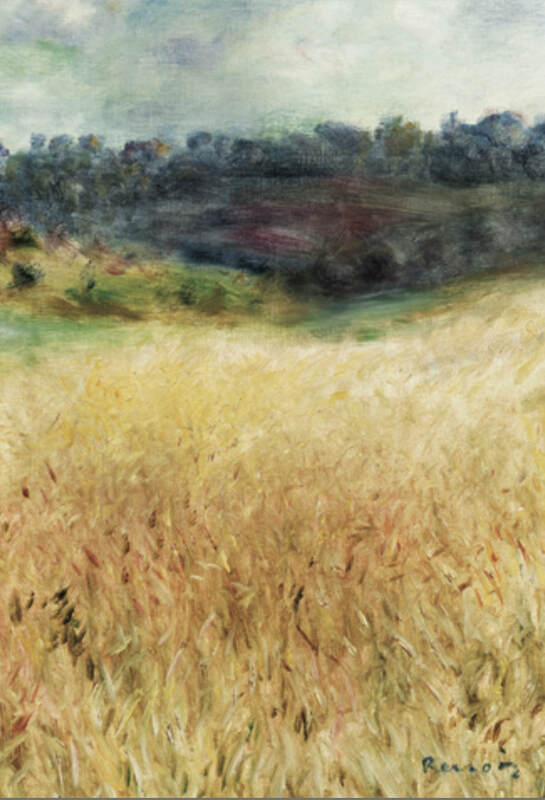 Pierre-Auguste Renoir, detail from Wheatfield, 1879. ​The a cappella ensemble Clerestory takes its name from the high windows through which light pours into a church. We are delighted to present this wonderful Bay Area group in a concert featuring early and modern works inspired, through a process known as ekphrasis, by works of art. Clerestory’s “distinctive voices blending in a gorgeous sound” (San Francisco Classical Voice) perform compositions—by such composers as John Sheppard, Arvo Pärt and Eric Whitacre—which respond through poetry and music to artworks by Leonardo da Vinci, Michelangelo, Gerhard Richter and many others. These ancient and modern ‘commentaries’ shine a special light upon art both familiar and brand-new.